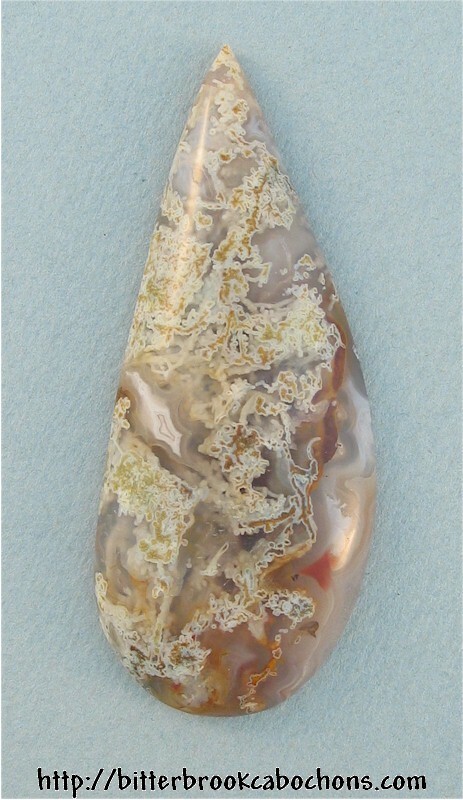 This agate cab is almost transparent save for the white & golden moss. It's really very pretty, and different to boot. Dimensions: 56mm x 23mm x 6mm. Weight: 47.35 carats.